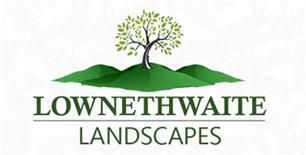 Lownethwaite Landscapes - Landscaper based in Reeth Road, North Yorkshire. Lownethwaite Landscapes is an established landscaping company, based in Richmond, North Yorkshire. We specialize in building and maintaining stunning gardens throughout Yorkshire and the surrounding areas. No matter how big or small your garden, or its current condition, we can create that outdoor space you always wanted. With our highly experienced and professional team, we possess all the necessary skills to complete all types of landscaping, so whether you are looking for some regular maintenance for your garden, or a one off job, we can help. We undertake all aspects of hard landscaping, and pride ourselves on our friendly, reliable, high quality, local service. We work with you, to ensure that we create a beautiful garden to exacting standards, both on schedule and in budget.